Users seeking excellent performance need look no further than Moshi's High Speed HDMI Cable. The cable is constructed from high-purity, oxygen-free copper which guarantees flawless data transmission at 10.2 Gbps, ideal for demanding applications such as Ultra HD (4K) video and audio. In addition, the anodized aluminum casing blocks out unwanted interference and internal triple-shielding preserves signal integrity. 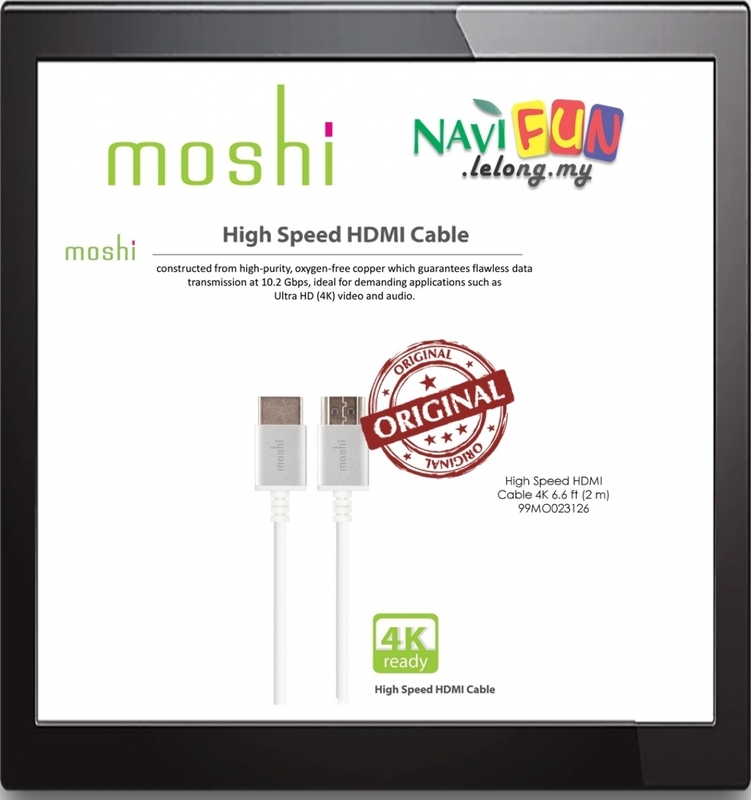 Moshi's High Speed HDMI Cable is the ideal addition to the collection of any multimedia aficionado.